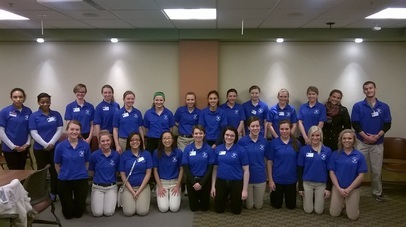 Kent Intermediate School District is proud of the opportunities the Health Career Immersion program provides high school SENIORS. This job shadow experience allows students to explore a wide variety of health careers by observing health professionals while they work. Each site will provide exposure to a variety of careers available in the health industry. 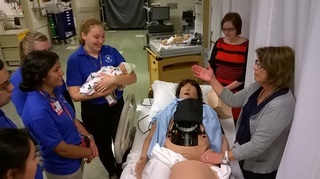 Students will be able to observe health career professionals in the workplace! This is an excellent career exploration activity and results in students being more informed and confident in their career decisions. This career exploration opportunity is for senior high school students in Kent County. This commitment is approximately 15 weeks for a semester and 11 weeks for a trimester. The typical schedule is 2 days a week for 2.5 hours a day (total of 5 hours a week). Students must arrange their own transportation to and from the placement sites ** Free transportation may be available! Contact us for details! ﻿​Students may request their preferred health care facility on the application. We make every effort to honor student preferences, but due to availability, not all requests can be guaranteed. More information about placement sites. Some high schools may grant classroom credit, although it is intended to be an extra-curricular activity. A Parent/guardian must must attend a mandatory Kent ISD orientation. THE APPLICATION DEADLINE WILL BE MAY 1, 2019. For participation in Winter 2020, the application will open for seniors on October 15, with a December 1, 2019 deadline. This program is for Kent County high school seniors. Within 2 weeks of the application deadline, students will be contacted on the status of their acceptance into the Health Careers Immersion program. Please note: Based on the number of applicants, all students may not be admitted into the program. If accepted, completion of 3 online training modules will be required prior to the IMMERSION start date. Instructions will be provided via email. A TB test and current Influenza vaccination will also be required to participate. All students will be expected to attend two mandatory orientations. One will be a hospital based orientation and the second will be at the Kent Intermediate School District.